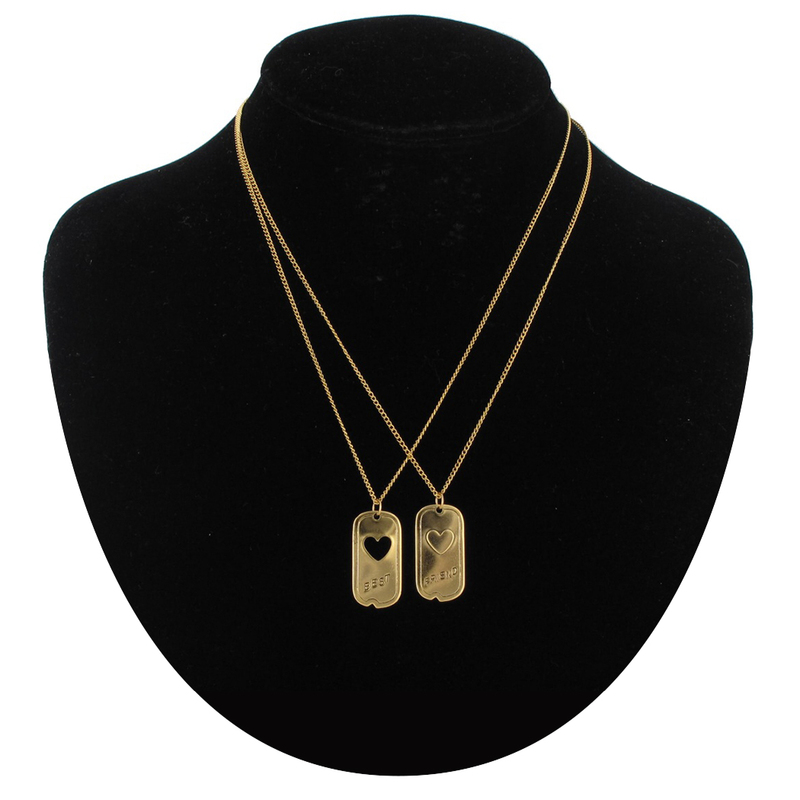 This friendship dogtag necklace set is a fun and trendy way to express your friendship! 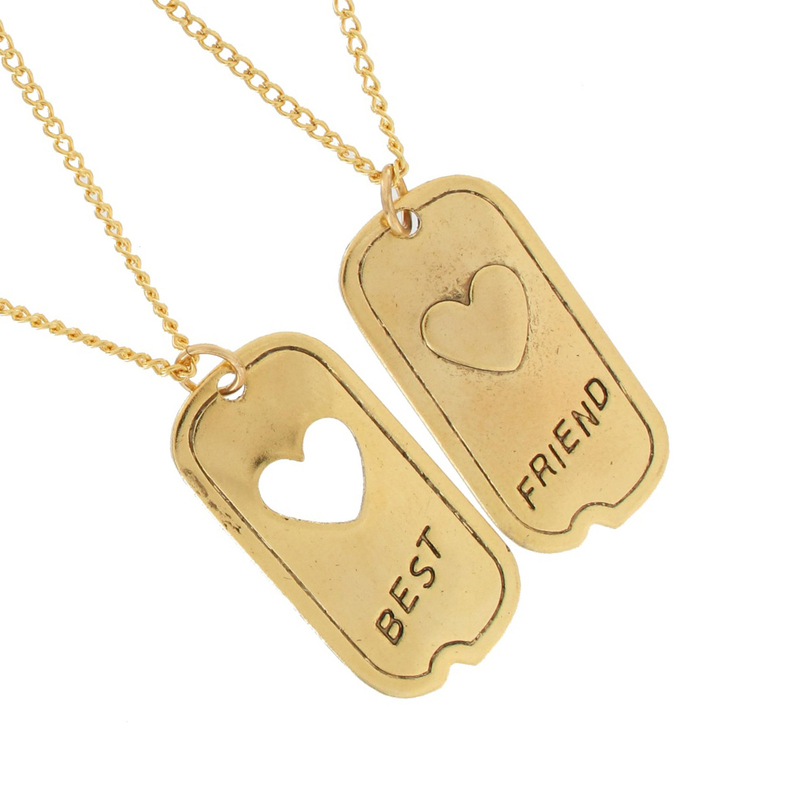 These gold tone best friends necklaces come in a set of two and have pendants designed like dog tags with hearts and inscriptions of "best" and "friend". The chains are 16 " while the pendants are 1 1/2 ". 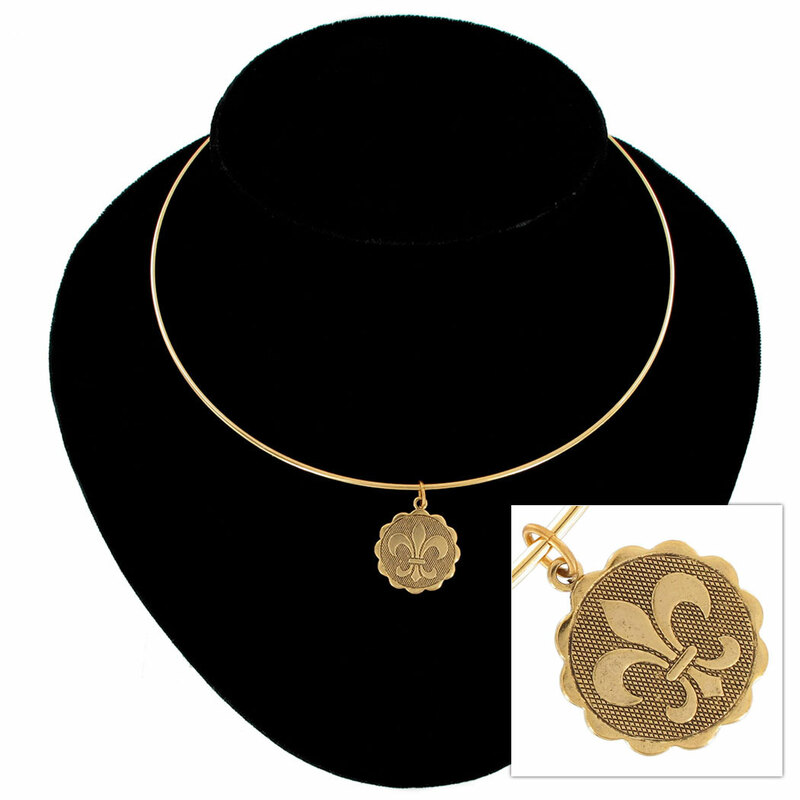 The gold tone necklace is a perfect buy for yourself and the other a perfect jewelry gift for your best friend.